There are thousands of games on the Steam platform and each user can find at least one game he would like to play. However, some users may wish to abandon the use of the platform. In this article, you will learn how to uninstall the Steam games, the Steam account and the Steam app on your Mac. How to uninstall Steam games from your account. How to delete a Steam account. 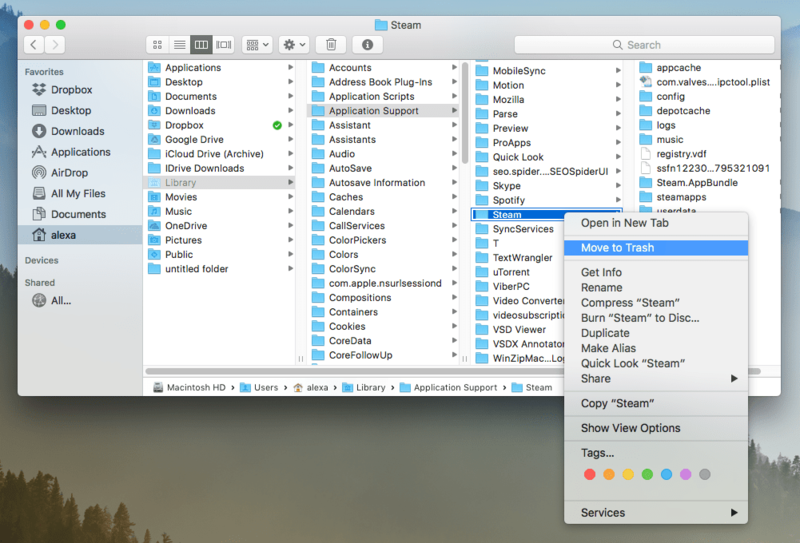 How to uninstall Steam on Mac manually. How to remove Steam on Mac with one click. 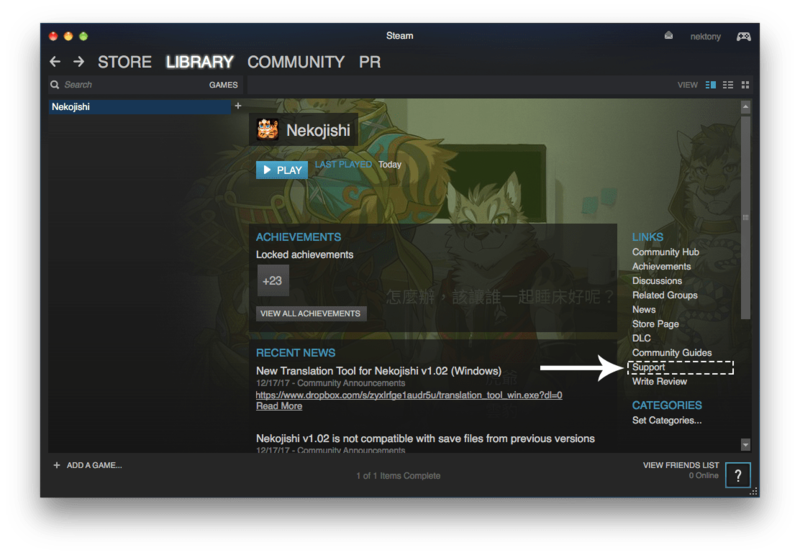 Steam is a system for delivering content to a user’s computer via the Internet. Steam was created by the Valve Software company and was originally designed to distribute its games. Today this platform is open, and each developer can add his own games. The subscribers can download the most popular games, including the Half-Life series, Counter-Strike and many others as well as download the latest updates and modifications to them. Also, Steam has a good social option. Gamers can communicate with each other, add friends, share their games library and screenshots, create groups and so on. Well, as you can see, Steam is a popular and convenient platform for game lovers. However, you may have some reason to delete steam games, for example, to stop wasting your time on games or spending too much money on them. Or, you may want to free up more disk space on your computer and optimize its performance, or remove your profile from the service to create a new one, or clear the history of your account, and so on. Whatever your reason, if you cannot uninstall Steam or are just looking for the easiest and best way to get rid of the software, this article is for you. Below, we will tell you two ways of uninstalling Steam games. Some users complain that, after removing the Steam app on their computers, the games downloaded from Steam still remain on their disks, and then they have trouble removing them. To avoid such a situation, we recommend that you first uninstall the games on Steam. Follow the steps below but please note, that these steps will uninstall the game completely from your account. Open the Steam app → go to your Library → select the game you want to remove. Click “Support” from the right section. We’ve told you how to uninstall a game from Steam. Now, let’s move on to guide you to remove the Steam account. To delete your Steam account, you need to write to the Steam technical support team that you want to remove your account. If you are completely sure that you no more need Steam, clean up your bank card numbers and other payment information. Also, you should unsubscribe from all sorts of mailing from Steam coming to your mailbox. Please note, you will be asked to provide the Proof of Ownership to complete your request. Later, you will receive an answer by email asking whether you are sure you want to delete it. Usually, the account removal is done in stages. First, it is blocked for a while, and then, after a certain period of time, it is completely removed from the system. Go to the Finder → Applications folder. Move Steam to the Trash. Go to the Library folder → Application Support → remove the Steam subfolder. After that, don’t forget to empty Trash to get rid of Steam completely. 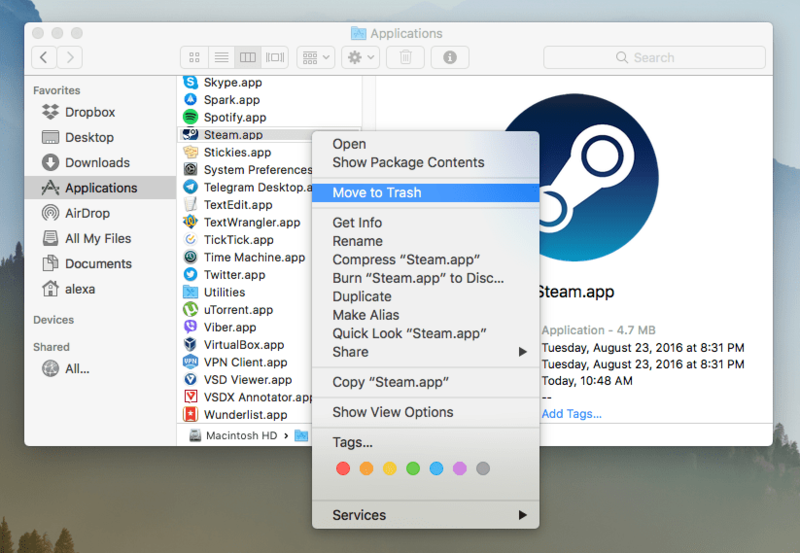 Another way to remove Steam from Mac permanently is to use a special tool App Cleaner & Uninstaller. 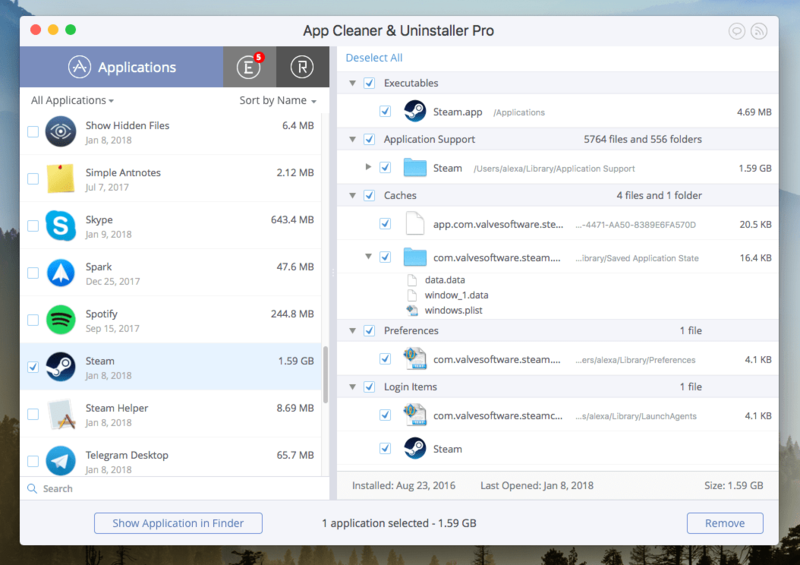 App Cleaner & Uninstaller is designed to uninstall apps on Mac completely so that you don’t need to look for the app’s support files manually. The program does this task instead of you. Launch the program and find Steam in the left section. Select Steam and click the Remove button. Then you will just need to confirm the task. That’s all! As you can see, the Steam removal procedure is easy, especially if you use App Cleaner & Uninstaller. 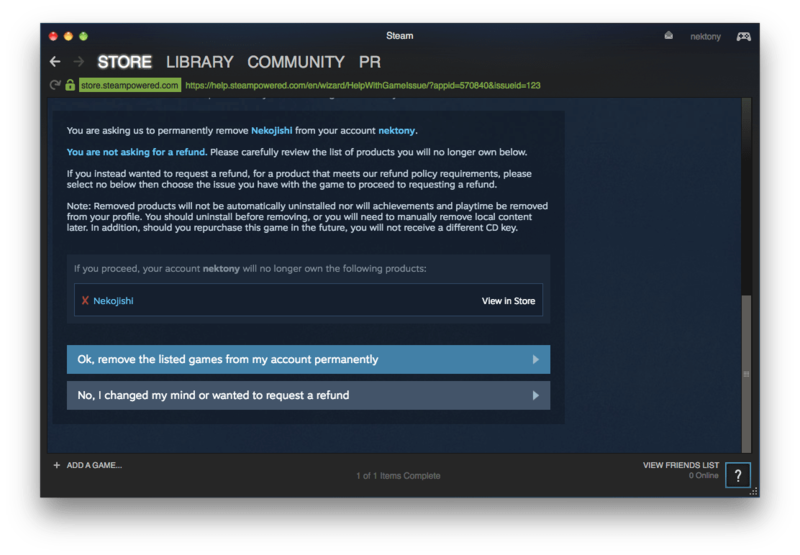 We hope you’ve got all the answers you want about deleting your Steam account as well as the games and platform software tool.